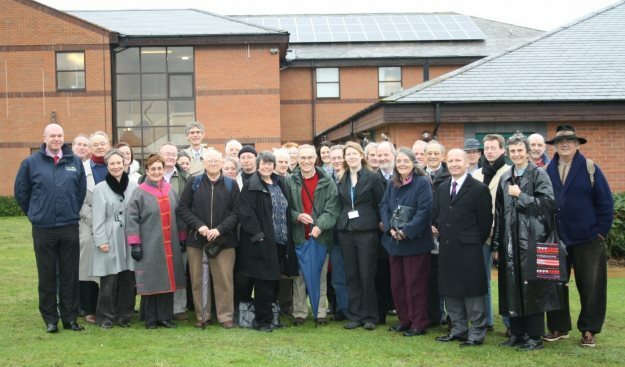 Community Energy Warwickshire is a new approach to local energy – a community benefit society whose aim is to invest in renewable energy projects and to help local people to reduce their use of energy and save money. As a community benefit society, we’re able to raise money to fund projects by inviting people to become members of the co-op by investing in shares in Community Energy Warwickshire. That’s how we funded our solar-powered hospitals project which put solar panels on roofs at Stratford upon Avon and Warwick Hospitals – and how we have funded the second phase of our solar-powered hospitals scheme, which has installed solar panels at Leamington Spa Hospital. We’ve recently installed more solar panels on a new ward building at Warwick Hospital, and we’re exploring other opportunities for generating renewable energy in Warwickshire as well as developing ways to partner with community organisations to make local energy more sustainable. If you’ve got any questions, want to find out more or want to get involved in Community Energy Warwickshire, please get in touch.